We are now in the commissioning phase of the mission, specifically the Launch and Early Orbit phase (LEOP). After the launch and during this early commissioning phase, we track and communicate with the CubeSat and make sure that everything is working and going according to plan. LEOP is one of the most critical phases of a satellite mission. 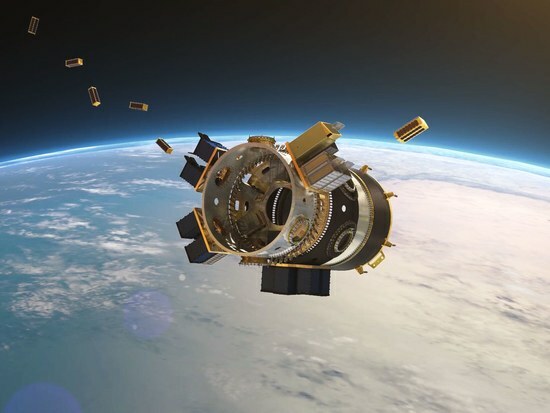 Once SeaHawk-1 CubeSat is deployed and separated from the launch vehicle, our engineers have to take control of the spacecraft and make sure that it is safe and stable in its orbit. This requires that engineers work around the clock to monitor and control all the appendages and the various subsystems of the CubeSat. The first step was to obtain the beacon from SeaHawk-1 at our ground station in Glasgow, Scotland. We were able to hear the beacon and communicate with the CubeSat within a few hours after the launch. 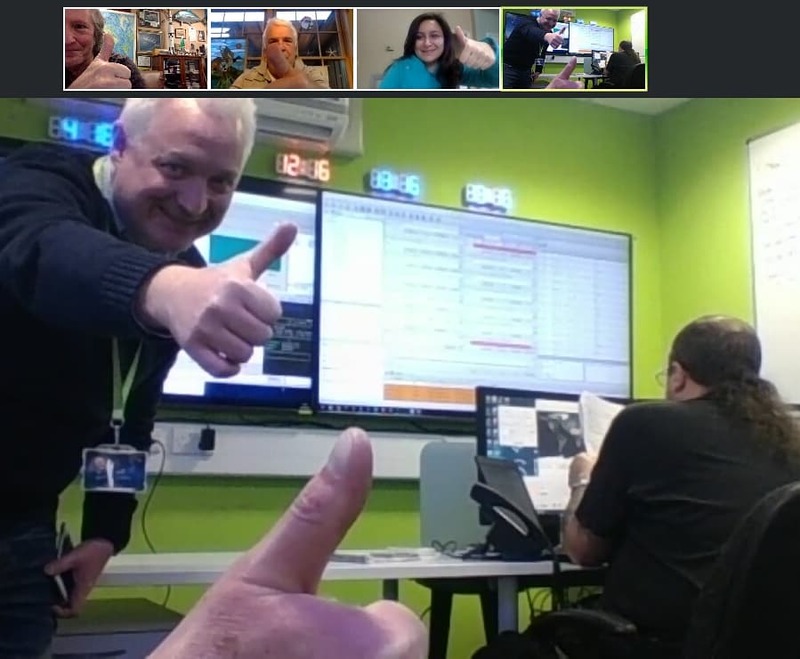 Thanks to an exciting video conference call, our International team members shared the exact moment when we confirmed communications with SeaHawk-1 at our ground station in Glasgow, UK. This is the Operations Control room at Clyde Space. 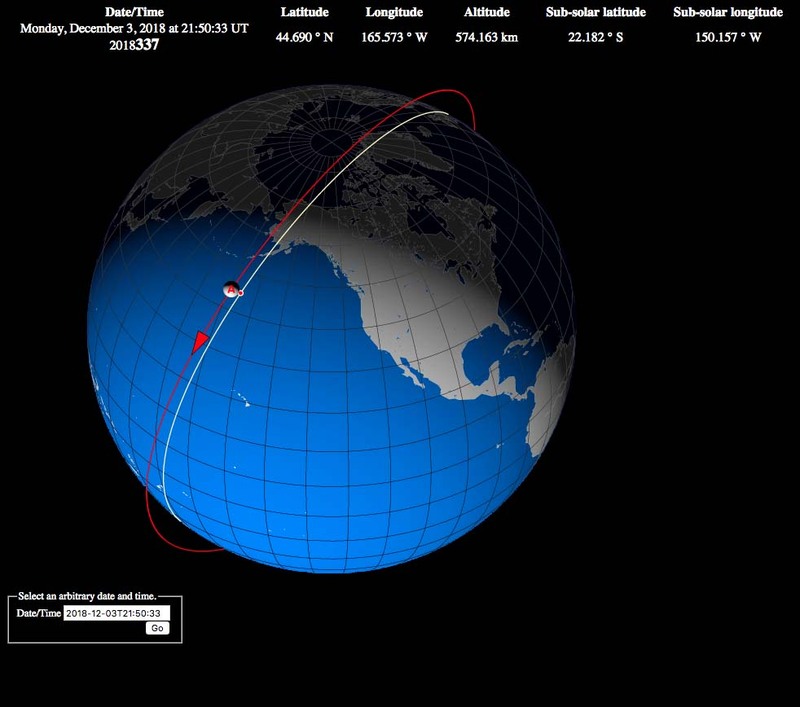 You can use the link below to see exactly where SeaHawk-1 is right now. Some of the things that we are monitoring now include: solar panels, antennae, battery level, tumbling rates, attitude control, nadir pointing, GPS, etc. Evehough we performed numerous tests in the lab, this is the very first time that SeaHawk-1 is in the real environment of space, so we are still learning about the behavior of the spacecraft. Luckily for this mission, we have a replicate of the CubeSat (SeaHawk-2) in the lab that we can use to to perform additional tests and troubleshooting before we send the commands to SeaHawk-1 in orbit. SeaHawk-2 will be launched within the next year but until then it can be a useful tool for the team. Clyde Space engineer handling the CubeSat in their clean room. To work in the clean room you have to wear a coat, gloves and cover your hair, mouth and shoes, we do not want any dust or particles interfering! Once everything is stable, the next step is to turn on the sensor, start capturing images and downlinking them to our associated grounds stations in NASA Wallops (Virginia) and Fairbanks (Alaska). To downlink this data we are using X-band radio frequencies, as opposed to the UHF/VHF used for communications with the spacecraft. The data obtained will then be processed, analyzed and calibrated before we distribute it to the general public, we expect that this will be happening sometime in early 2019. SeaHawk-1 has been identified on orbit! SeaHawk-1 continues in the commissioning phase. Identifying which of the 64 objects launched in the rideshare mission was challenging, as some objects were very close to each other but we can now confirm identification on orbit.